What does the Bible say about loneliness? 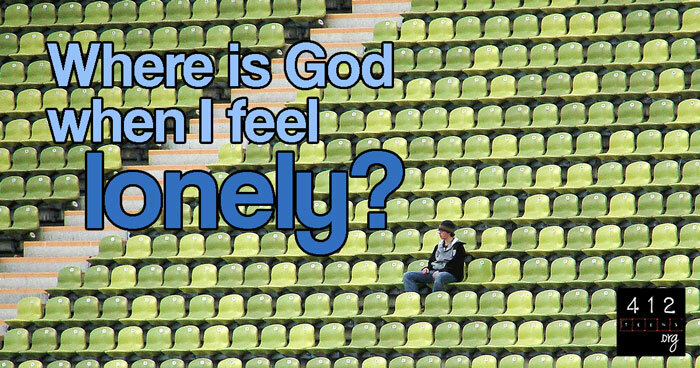 Where is God when I feel lonely? There is nothing I would love more than to give a direct, 3-part answer, complete with references, to exactly help cure your loneliness in a tangible way. But like so many of the deep, hard questions of our lives, it is not that simple. In the Bible, we find that no one felt lonelier than David. Throughout the Psalms, he cries to God in his loneliness and despair. His own son had revolted against him, the men of Israel were hunting him, and he was forced to run from his own kingdom, leaving behind his home and family. Lonely and afflicted (Psalm 25:16), he turned to God, and he begged for mercy and God’s intervention (Psalm 25:21). Why did he turn to God? Because his only hope was in Him. David literally had NO ONE else to turn to. Sometimes we feel that we too, don't we? Where is God in my loneliness? God is right there with you when you feel alone. God's heart aches for you just as much as your heart aches when you just want someone to go to a movie with or for someone to answer your texts. This is part of faith; you KNOW this is true even if you can't feel/hear/see Him. The first step in overcoming loneliness is accepting this truth: that even when everything feels dead silent, you are not alone. Take a moment right now to read all of Psalm 139. Let this be your heart's prayer. I have often read about the loneliness international Christian missionaries feel when they move to another country and know no one and/or can barely speak the language. I can't even imagine how isolating that would be! When you read these accounts of their struggle with loneliness, they often say that God used their loneliness to draw them closer to Him. Just like David, they have kind of been forced to rely on Him. God allowed them no one to turn to but Him. When you have friends and family who are there for you at the drop of a hat and things are going well all around, it's super easy to be like, "God, I got this. Thanks for saving me and all, but I don't need you for day-to-day needs." But if the friends move away and the resources dry up, then we are forced to lean on our faith that God is with us and the promises that God won't abandon us (Matthew 10:29-31). What can I do when I feel lonely? Loneliness is a really tough battle. I am personally knee deep in it, so I get it. Even when you know God is there and you do turn to Him, sometimes it's still nice to have a friend to do things with and talk to for another perspective on what's troubling you. After all, God did not create us to live as islands, isolated from everybody forever (Romans 12:5; Ecclesiastes 4:9-12; Hebrews 10:24-25). Here is what I have found helps: Step back and look around you. When you've struggled with loneliness for a long time, you will notice that there are other people who are also struggling. 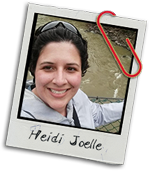 The crazy thing about loneliness is I can all but guarantee you that you are not the only one in your community who is feeling totally isolated. Identify those other people and befriend them. Invite them to a movie, ask them how their day is going, send them an encouraging text. You will very likely make their day, and you may gain a great friend in the process. If there isn't anyone you can find, don't let that stop you. Go to the movie anyway and strike up a conversation with the person sitting alone next to you. Go to the bookstore or coffee shop and read or draw or bring your laptop and play a game. Keep an eye out for interested passersby. Go out and do what you would have done if you had someone to join you. I am not an outwardly outgoing person, yet I'd say half the time I've done this, I've had great conversations with people I never would have met if I had stayed home with my dog. Finally, make sure you are talking to God about your loneliness. Remember David? He cried out to God in the most desperate terms. Express your frustrations and hurt and sorrow to Him; He can handle it. And even though you may not verbally hear an answer, that doesn't mean God doesn't care or isn't listening. He hears your lonely cries and will always provide what you need—whether that is a closer dependence on Him or a new friend who knows exactly what you're going through. God's heart aches for you just as much as your lonely heart aches for friendship. Yet this is part of growing our faith: accepting the fact that we are never alone, for God is with us and promises that He won't abandon us (Matthew 10:29-31). Read Psalm 139; let this be your heart's prayer as you learn to be dependent upon Him. Then step back and look around you; try to find the other lonely people and make a new friend. Don't let loneliness stop you from doing the things you wish you could do with others. You never know, maybe getting out there will help you discover a new friendship.